Social Engineering hacks humans, not machines. Competition "Contraband Pixels & Texts, or... make stories, not phishing"
You are here: Blog & News DOGANA contest Social Engineering hacks humans, not machines. Competition "Contraband Pixels & Texts, or... make stories, not phishing"
An artwork selected in the third "round" of the competition "Contraband Pixels & Texts, or... make stories, not phishing"; (original post in the official contest page). 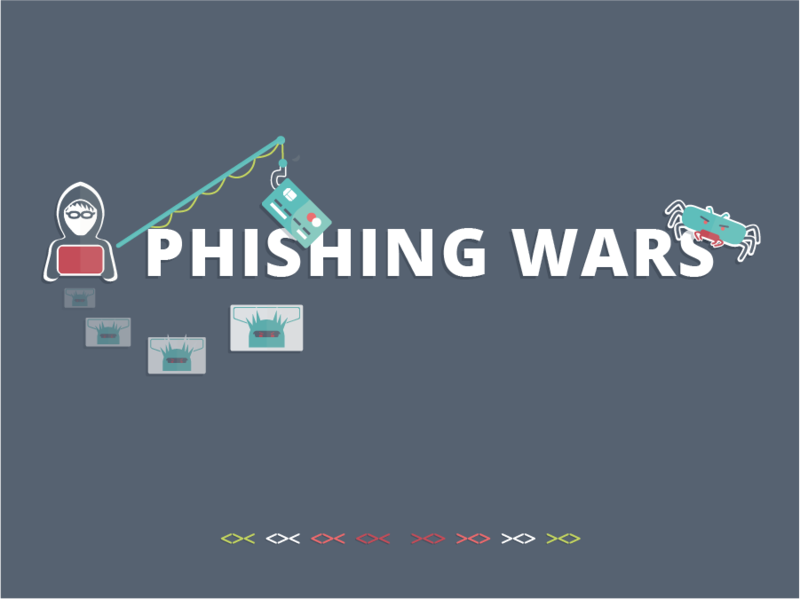 "Contraband Pixels & Texts, or... make stories, not phishing" is a literary-graphic competition on social engineering and phishing, organized by CNIT (Consorzio nazionale interuniversitario per le telecomunicazioni), partner of DOGANA project. PARTICIPANTS: writers and cartoonists / illustrators. REGISTRATION: registration is free and open to people residing in EU countries (Austria, Belgium, Bulgaria, Cyprus, Croatia, Denmark, Estonia, Finland, France, Germany, Greece, Ireland, Italy, Latvia, Lithuania, Luxembourg , Malta, Netherlands, Poland, Portugal, United Kingdom, Czech Republic, Romania, Slovakia, Slovenia, Spain, Sweden, Hungary), Israel and Switzerland. Writers must submit a short story (max. 5000 characters including spaces, excluding title) addressing the theme provided by the organization. Illustrators must submit an artwork of up to 1024x768 pixels resolution, representing or summarizing the project theme in a drawing or in a comic strip. The same author may submit multiple illustrations and short stories. Artworks can be submitted in Italian, in English and / or in both languages ​​(Italian and English). Artworks presented in two languages ​​will receive an additional bonus. Artworks must be shared on the Facebook page dedicated to the competition (https://www.facebook.com/pixelettere), starting from February, 13th, 2017. Last date to submit artworks is June, 10th, 2017. Dates for intermediate selections will be communicated time to time. Artworks must be shared by the authors on their Facebook profiles, when they are shared on the Facebook page of the project. Short stories and comics not shared on both will be automatically excluded from the competition. Authors are also encouraged to advertize their artworks, pushing more Facebook shares within their social network, in order to promote the DOGANA initiative and disseminate the message. Facebook likes and re-shares will be evaluated to assign a specific bonus. Artworks will be selected periodically from the DOGANA Facebook page and added to the finalists group, then shared by the project staff on the official blog of the DOGANA Project (https://www.dogana-project.eu/index.php/social-engineering-blog) and on the official Twitter channel (https://twitter.com/DOGANAProject). The jury will select the artworks from DOGANA Facebook page by evaluating the artistic quality (qualitative evaluation) and popularity (ie likes and shares). Jury’s judgment is unchallengeable. THEME OF COMPETITION. In computer security, social engineering refers to psychological manipulation of people into performing actions or divulging confidential information. Phishing is a type of fraud over the Internet where a hacker tries to trick the victim to provide personal information, financial data or access codes, posing as a trustworthy digital communication entity. The author should submit an artwork addressing this theme, without constraints on literary genre (mainstream, fantastic, sci-fi, comedy, drama etc.). In each short story, authors must use at least once the word "horizon" and/or “dogana”, at their creative discretion. On every illustration/comic the official logo of the DOGANA project must be reported, placed and sized at the author’s discretion. The DOGANA logo is available in the header of the project website (https://www.dogana-project.eu). Alessandro Morbidelli, writer and architect, member of Carboneria Letteraria, s-traveler of http://www.sdiario.com. PROCEDURE AND EVALUATION CRITERIA: project process and evaluation will be carried out by the jury, whose verdict will be final and unchallengeable. The winners will be chosen from the shortlist of finalists selected on the DOGANA project blog. A score from 0 to 10 will be assigned from each member of the jury based on quality, relevance and form of the artwork (short story and / or comic strip), up to a total of 0 to 30 points. 0 to 10 bonus will be awarded to artworks received in both languages ​​(Italian and English) by evaluating the translation effectiveness. 0 to 10 bonus will be awarded for exceptional popularity (likes and shares). The best short stories and comics will be rewarded by the sponsors and could be collected in a publication (digital and / or paper). 1st (short story or illustration): 400,00 € and invitation to an official workshop / dissemination event organized by DOGANA project. 2nd (short story): 150,00 €. Date and site of the award ceremony will be published on the DOGANA Blog and Twitter profile. COPYRIGHT: artworks must be unpublished and free of copyright restrictions. Any artwork already published, with copyright constraints or unlawfully plagiarized (even partially) will be immediately excluded from the competition and reported to authorities. When the artwork is published on the DOGANA Facebook page and submitted to the competition, the DOGANA organization becomes sole owner and acquires the distribution and reproduction rights. The organization is therefore exclusively authorized to use, reproduce, adapt, publish and distribute the works freely. The winning artworks will be used at any time and by any means in order to promote activities and events related to the competition theme. To use his existing social profile: each profile used to increase the shares of artworks must exist at the time of publication of this notice and will be verified by the organization staff; any attempt to use false sharing or ad-hoc profiles to trick the popularity evaluation will result in immediate exclusion of the author. To avoid offensive language, and personally respond to any violation of the Italian law. Any violation will result in immediate exclusion of the author.